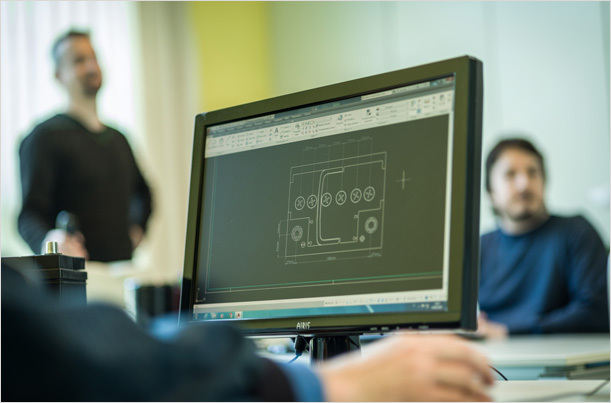 Over time, Vipiemme has developed a sophisticated system for the generation of its know-how, establishing the company as a strategic research and experimentation hub, not only for accumulators (batteries) but for manufacturers of machinery. Vipiemme has two laboratories, one chemical and the other electronic, in which all the quality controls of the work process can be carried out. Quality is a concept that cuts across all that Vipiemme does. This starts with project management and runs through the entire production cycle, up to the compliance checks. With a view to having total control of the production process. Vipiemme oversees the operations of the entire supply chain, starting from the transformation of raw materials, thus allowing a constant standard of quality. 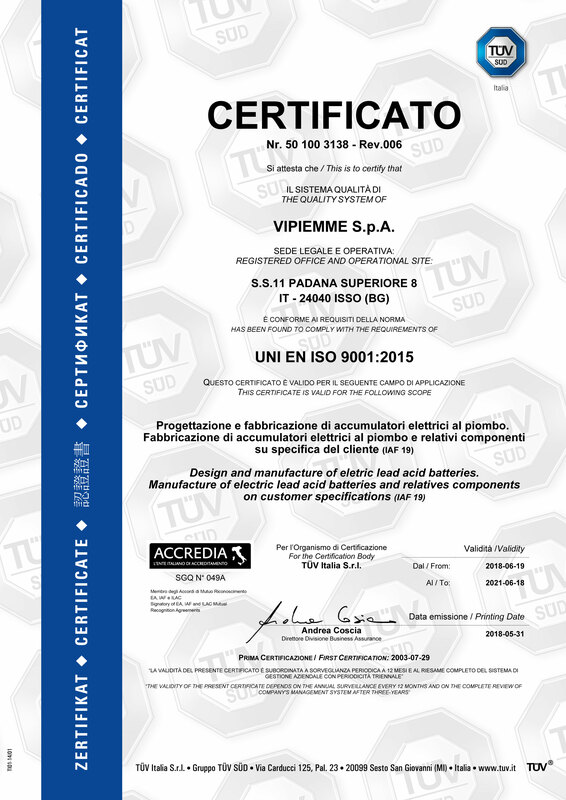 Social awareness in doing business and respect for the environment has distinguished Vipiemme and its management since its establishment in 1980, this led to the decision to certify its vision, joining the already present UNI EN ISO 9001 certification related to the environmental management systems UNI EN ISO 14001. The regulatory process was also completed with OHSAS 18001 certification for the management of workplace health and safety, which took place in June 2013, again with TÜV Italia.